The universe is at your feet! Macro photographers play by different rules, there is plenty to discover and many stories to tell. 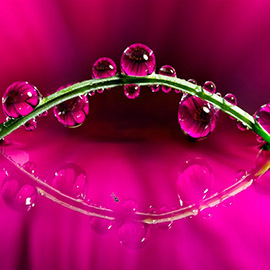 This photography course covers all aspects of macro photography. Don Komarechka is a nature, macro and landscape photographer, and his work has been featured on BBC, National Geographic, Outdoor Photographer magazine and more. In this course, you will learn about the approach he uses to capture stunning macro imagery and how he edits his photos using ON1 Photo RAW and Adobe Photoshop.